When we got the exciting new that we were pregnant we could not wait to share the news with everyone. 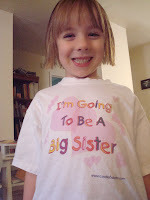 Arielle has been so excited to be a big sister. She love wearing her big sister shirt. We also have a pretty proud father. 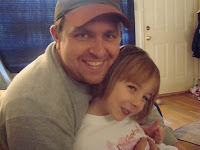 He loves his little girl so much and hope to have a little son to love. If not he will have 2 beautiful daughters wrapped around their little fingers.